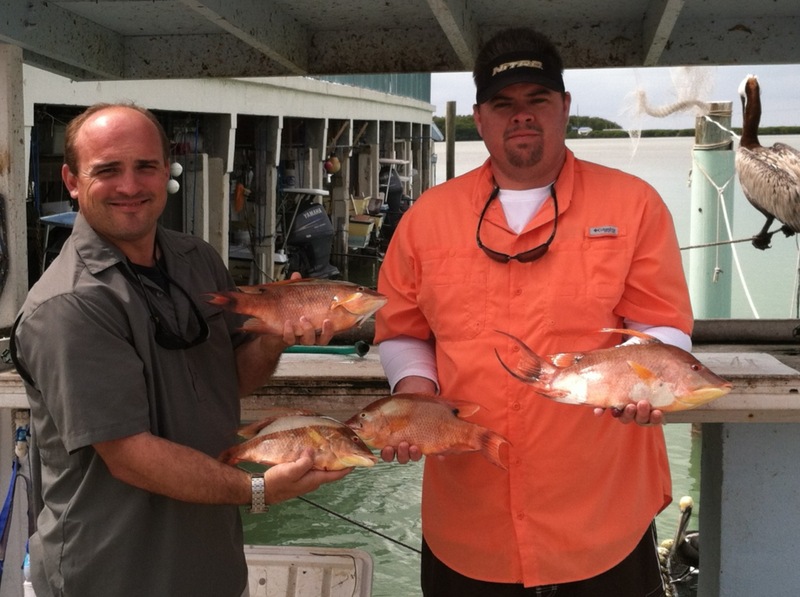 4/6/13 Islamorada hogfish fishing on the patch reefs! Well today we had a breezy north 15 mph wind in Islamorada, Florida Keys. This seemed to have slowed the tarpon down for a day or so hopefully tomorrow it will pick back up. I had anglers from the other day that had already caught some big tarpon in islamorada so we decided to mix it up and do something different. We fished the patch reefs which are often good when it is cold and with northerly winds as it stays calmer out there. We hit some rocks fishing jigs and shrimp. The islamorada hogfish fishing was good we caught about half a dozen fish off one spot, with 5 of them being keepers! We also caught some porgies, yellowtails, mangrove snappers, and a couple small groupers. Though lots of fun on light tackle regardless with the groupers! One trick to the florida keys hogfish fishing is chumming with bits of shrimp, this really can get them going and to find you out there. Tomorrow it’s back to tarpon fishing in the morning, hopefully the warmer incoming tide early in the morning will have the fish happier – we shall see! This entry was posted in Backcountry Fishing Reports, Fishing Reports and tagged april, grouper, hogfish, mangrove snapper, mutton snapper, porgy, yellowtail. Bookmark the permalink.